Southern Bluefin Tuna are among the most magnificent of fish. Worldwide, they are considered an endangered species, but as a result of the sustainable manner in which Southern Bluefin Tuna is managed in Australia, production is now balanced and Australia’s international commercial quota has recently been increased by over 35% by the world industry body, the Commission for the Conservation of Southern Bluefin Tuna. Furthermore, the Australian tuna industry was awarded the coveted global Friends of the Sea accreditation for its sustainability in late 2015. 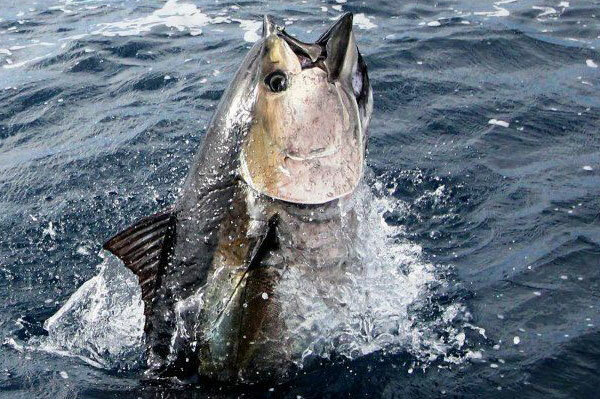 Associated most strongly with Port Lincoln (where tuna farming was pioneered in Australia), Southern Bluefin Tuna are now widespread in the seas of South Australia and are commonly caught by recreational fishers in the waters off Victor Harbor. Oceanic Victor’s secure aquarium is the best place in the world to get up close and personal with magnificent Bluefin Tuna – and the only place in South Australia where you can experience such diversity of marine life in one place!